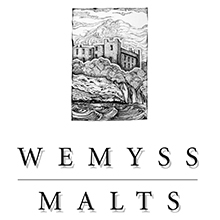 Peat Chimney is one of the three blended malt brands produced by Fife-based Wemyss Malts, owned by one of Scotland’s oldest trading families. It is currently sold as a no-age-statement expression, as well as a limited edition bottled at cask strength. There are 16 constituent malts in the make-up, not all of them from Islay, leaving the inherent smoky character to play a supporting role to exotic spices, moss and dark fruits. 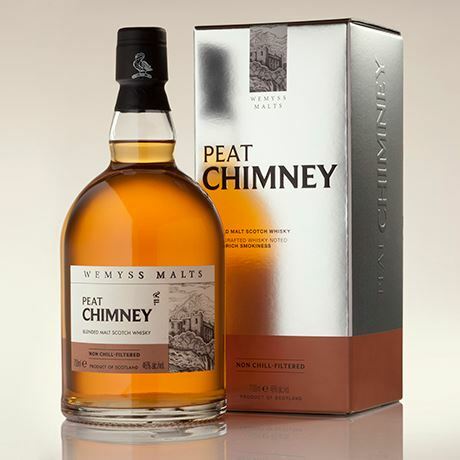 Peat Chimney was launched in 2005 as a 5-year-old blended malt containing a high proportion of Islay whiskies. It was followed by an 8-year-old, which became the brand’s standard expression until 2015 when – citing a global shortage of aged Scotch – Wemyss Malts replaced the age statements in its entire blended malts range with NAS (no-age-statement) alternatives bottled at a higher strength of 46% abv. The current NAS bottlings still broadly resemble the earlier expressions in their flavour profiles. In 2016 the blender released the first in a series of Batch Strength versions of its blended malt line-up, including a 57% abv expression of the NAS Peat Chimney. The brand’s 12-year-old expression will continue to be released in limited quantities.